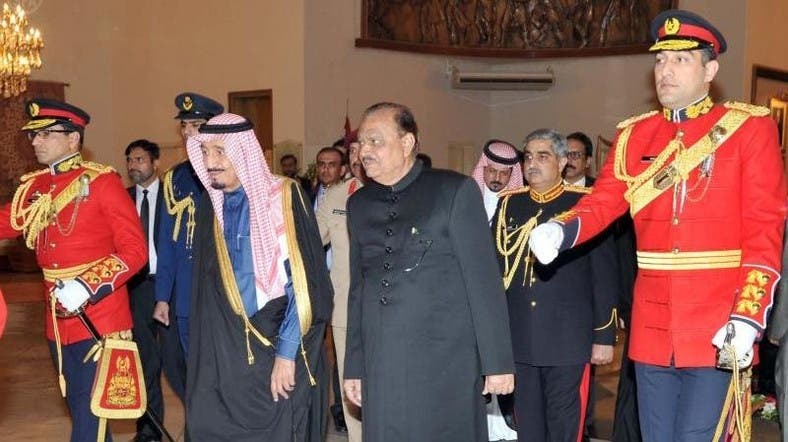 Saudi Arabia’s Crown Prince Salman bin Abdulaziz al-Saud arrived in Pakistan for a three-day visit Saturday and met with the country’s President Mamnoon Hussain at the presidential palace in the capital, Islamabad. 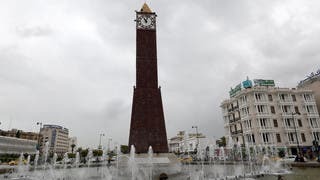 “During the meeting, they exchanged cordial talks and reviewed bilateral relations between the two countries,” the official Saudi Press Agency (SPA) reported. The crown prince, who is also the kingdom’s Deputy Premier and Minister of Defense, was invited to visit the south Asian country by Pakistan’s Prime Minister Mohammad Nawaz Sharif. The crown prince told SPA that his visit came within the framework of the strong historical relations between the two countries, stressing that both Riyadh and Islamabad desire to deepen and further their relations. He highlighted that his visit aims to enhance work between the two countries towards common issues to serve their both their interests regionally and internationally. He added that his visit will promote the roles of the two countries to maintain security, stability and development at regional and international arenas, particularly Islamic issues and role of the Organization of Islamic Cooperation. In the third day, the prince will be meeting with Pakistani military officials, including the country’s army chief, where it is expected that they will sign a security agreement. After Pakistan, the crown prince will be visiting Japan, India and the Maldives. These countries have invited the Saudi official to visit.